Fully Tested and Certified to the AS/NZ 4601 amendment 1 2003 for vehicle immobilisers. 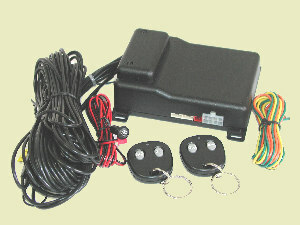 The M80i is a fully featured automatic TRIPLE immobiliser operated by remote control (2 supplied). The automatic triple circuit engine immobiliser is designed to deter theft by automatically disabling the starting and running of your vehicle. If your vehicle has central locking (may require additional parts and cost depending on vehicle type), the M80i can provide keyless entry - just press the remote button and your doors lock or unlock! The M80i will automatically immobilise your engine 30 seconds after turning the ignition off so you know your vehicle is always secure. Is your vehicle turbo charged and has a turbo timer ? No problem, the M80i has special software built-in that allows the system to be armed with the engine running with no sacrifice in security. If it is broken into whilst the engine is running, the engine will stop and be immobilised immediately.